Our low cost Mesa bankruptcy lawyers offer affordable debt relief for residents of Mesa, Chandler, Phoenix and Maricopa County, Arizona. Are you looking for a workable solution to your financial difficulties? Have you explored the different types of bankruptcy but are still not quite sure if these options are right for you? 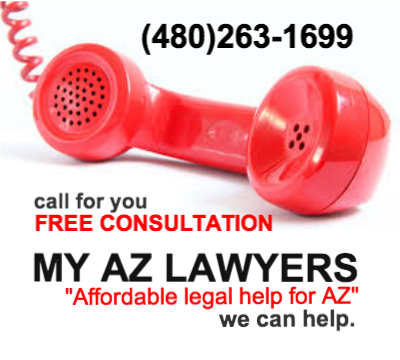 By all means, call us today and set up a free consultation with one of our Best Mesa Bankruptcy Attorney and lawyers. Let our experienced bankruptcy attorneys and debt relief experts from our Mesa based My AZ Lawyers guide you in your time of need. In fact, filing for bankruptcy in Mesa can be confusing and the decisions you make right now and before filing for bankruptcy protection regarding your finances will have long lasting effects on the future of you, your family, and your business. Put our experience in filing for bankruptcy and debt relief to to work for you as you explore the debt relief options available to you through our best Mesa bankruptcy lawyers. 12725 West Indian School Rd., 2 East Congress St. Call for a FREE Consultation. (480) 263-1699.